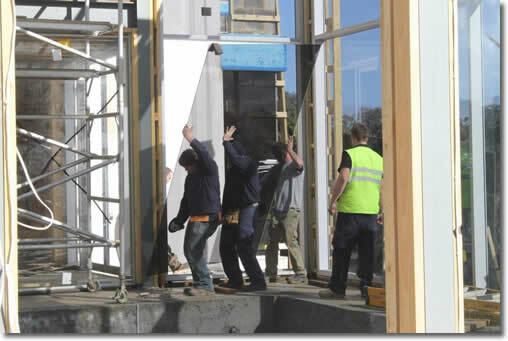 At Master Glass & Aluminium we design, fabricate, supply and install the highest quality glass solutions. With over 20 years experience servicing Melbourne’s metropolitan areas, we are able to provide proven technical expertise, design recommendations and superior quality workmanship. Our pedigree is in delivering high quality and cost effective aluminium window and door solutions for commercial and residential projects, though we specialise in all aspects of glass and glazing. We forge strong relationships with our professional partners and customers to achieve the best possible outcome for every project, any size and budget. Our Master Glass & Aluminium team are committed to providing leading edge service, achieving 100% customer satisfaction, and delivering on budget and on time, every time. We only work with proven, leading brands including Viridian, Dulux, Alspec and Rapid Aluminium. We are an accredited member of the Australian Glass and Glazing Association, in compliance with AS1288-2006.